In the early 1700's, Richard "Beau" Nash, a professional gambler, dandy, and all-around bon vivant, left London and moved to Bath. He was instrumental in turning the city into a sixteenth century East Hampton, where A-list society folks, including the royals, could party the night away. At one point Nash was appointed "Master of Ceremonies," whatever that means, and he went about laying down pretty strict rules for social engagement. 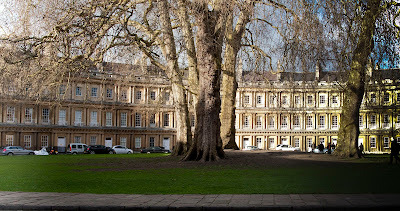 I learned about Nash last month while on a city walking tour in Bath, still a prosperous spa town known for its Roman bath and Jane Austen. Our guide, a local woman with infinite energy and charm, was chockablock filled with information about the scandalous lives of its leading citizens, especially "Beau" Nash. At one point she explained it was Nash who established the custom that a gentlemen must walk on the street side of ladies so that oncoming carriages splashing about the mud and garbage would not soil their elaborate gowns. I had no idea that this custom started in Bath. But now that I do, it absolutely has to go into my new book. For the last two years or so I've been working on a YA book that gives voice to transgender teenagers. Is this burying the lead or what? The working title is Ze. "Ze" is a neutral pronoun for he/she/him/her. The teens featured are cool, hip, anguished, triumphant, and all-around awesome. I can't wait for you to meet them. In one paragraph of her chapter, Christina, a trans female, talks about going on a first date with a straight man. She thought it weird that he insisted on walking on the street side of the sidewalk. Defiantly, she'd edge over to the curb every time they turned a corner. He'd walk around her. She'd step back sashaying to his right. He'd take her arm and lead her back to the left. "So annoying," she told me. I don't think this relationship ever went forward – only side-to-side. "Why did he do that?" she asked during one of our interviews. I explained the custom, not yet knowing about Nash. I didn't include this story in my draft because Christina's chapter was already too long and there were other, better things to write. Now I want the paragraph back - if only to add one line about Richard "Beau" Nash to the endnotes. Just one little ole line! Pretty nuts, huh? I like sprinkling a literary or historical reference here and there to text and photographs. They are my secrets that no one really notices, or at least, comments on. But for me it gives subconscious weight to the reportage form of writing I favor. At least I like to think this is true. In order to include this "sprinkle" in an endnote, though, the fact needs authentication. My Bath lady's comment might not be correct. I thought the "man-to-street-side" custom came about much earlier, and that it not only included soil from the street, but "night soil" thrown from protruding second-story windows. Wasn't this an Elizabethan custom? I vaguely remembered something in an old college book about the life and times of Shakespeare that may have mentioned this. I dug deep into the second layer of books in the shelves. New York apartments never have enough shelf space so we double layer our books. Eyes tearing from dust, I came up empty. Tip: Take Claritin before pulling out very old textbooks. More Google: "Men walk on the right of ladies" - couldn't find anything about Nash, but I did learn where to buy the good walking shoes. More Google: "Rules of Etiquette" - this Victorian site is fun to read, even though it has nothing to do with Nash or transgender teenagers. After spending hours, days, I could not find Richard "Beau" Nash escorting "ladies" while walking on the street side of the sidewalk. By now I have serious doubts this custom even existed. But look what was learned from the search: serious shoes, Victorian etiquette, and more. It reminded me of graduate school when it was deliciously easy to lose oneself in Dewey Decimal cards, eagerly moving curious fingers amongst the 3 x 5 cards surrounding the card needed to write a paper. My deadline is fast approaching and the Nash obsession has definitely gotten out of hand. One line, that has nothing to do with transgender teenagers, for an endnote, for a paragraph that will probably never make it in the text. Don't you just love nonfiction? Today begins PEN American Center's World Voices festival in New York City. It runs through May 6. Susanna Reich, INKer and chair of the YA/Children's committee, sent this list of children and YA author-related events. Monday, April 30, 7:30, all along the High Line in NYC, A Parade of Bibliomorphic Puppets, Illuminated Objects, and Projections. If you are in town, this should be great fun. Bring kids! Friday, May 4, 6:30 p.m. Debby Dahl Edwardson will be take part in "A Literary Safari," at Westbeth Center for the Arts, 57 Bethune Street. Saturday, May 5, 3:00 p.m. Brian Selznick will be "In Conversation" with David Levithan, at The New School, Tishman Auditorium, 66 West 12th Street. Saturday, May 5, 5:30 p.m. Ruta Sepetys and Patricia McCormick will participate with Arn Chorn-Pond and Wojciech Jagielski in a "Children's Rights" panel moderated by Janne Teller at Cooper Union, at the Frederick P. Rose Auditorium, 41 Cooper Square. The Festival will host more than 100 authors from around the world for a week of amazing events. For more information, please visit Pen's Website. This week, I was schooled by a third grader. I’m in the middle of an art lesson. Bryson says loudly, “No, dude. The planet.” I stop and look over at him. Then, I get the joke. They got me. All the boys are on the floor laughing. I’ve lost them, again. Thanks to my magazine articles and an upcoming nonfiction book, I’ve been getting requests to talk to local classrooms. What am I going to say? How can I keep them interested in all the knowledge that I want to share? Is there any thing I can do to prevent losing them? I’ve created and presented Art Appreciation lessons for over 12 years. I’ve created and taught several After School Enrichment classes for the past 6 years. Most cases, the teacher or a mom helper has been in the room. I’ve taught for an after-school Art program for almost two years - teaching at several schools each week and subbing all around the western Chicago suburbs. In those classes, it’s just me. I’ve had my share of challenges. After one class, a teacher walked by as I was putting up the artwork and said, “That must be Michael’s.” I said, “Yes, it is. Are you his teacher?” She responded, “Yup, and good luck with that.” The class was full of Michaels. This week, I discovered several websites and blogs filled with information on how to give classroom presentations. Children’s book authors and illustrators are so giving of their time and expertise. The town I live in has hosted several Author festivals. I was fortunate to be able to sit in on many classroom presentations; even made a few author friends through the years, too. When possible, I watched presentations in my own child’s class - my own personal focus group. (One very popular author totally “bombed” according to my son, an eight grade student at the time. The author’s talk was geared for elementary school students not middle schoolers... or, at least, we thought third graders might have laughed at the jokes.) I’ve been a guest at several career days, talking to several eight-grade classes at a time - always an attentive and engaging audience. When one student has to go to the bathroom, the whole class does, too. When one student asks to hand out papers, the whole class does, too. If there is any way they can glimpse at your lesson, they will see it - and tell the class what you are going to teach before you start. If one child asks to erase the board, they’re all going to drop everything and race up to help. And, finally, there’s always one child who you think is going to be handful who winds up totally surprising you - and that makes you smile all the way home. Would love to hear from other seasoned veterans of author presentations. Any interesting stories or humorous antidotes that you would like to share? I need help. I need to be prepared for the Brysons, Michaels, and Gracies. While telling a friend about my trying day, I said, “The entire class was driving me nuts.” Argh. Another word to delete out of my brain. Wish me luck. Consider a series of names. And the few words that rhyme with those fruit. Or rhyme with some kind of descriptive about fruit. Now consider which fruit names bounce and bump against each other in a tongue-pleasing way. Next consider which fruit are in season. In. The. Same. Month. And can be sourced by someone in a town with no Whole Foods. 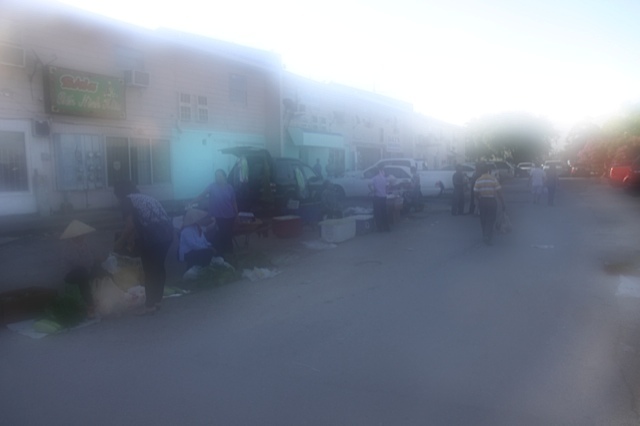 Now, try to take the picture in between the moments when other people are buying fruit for the shocking purpose of actually eating it. Do not interrupt the commerce of the kind fruit and vegetable vendors who put up with your crazy ways even back during the Rah, Rah, Radishes adventure. If you’ve had to buy an entire case of cactus, calling all over town, or found longyans in Ohio, or lychee in Chicago, in Chinatown, make sure the photo is good. Because you might not get that chance again. Make sure that the fruit all looks fresh. If it is a slice of watermelon, dab it often because it will soon begin to sweat and melt like a beauty pageant contestant under hot lights. Now, retake some of the photos because you and the editor have suddenly decided to shift a word, which has knocked out another stanza, which has caused a cascade of unforeseen PERMUTATIONS. Permutations = a poet’s daily life. Because April is poetry month and I'm in the blog therapy over whether or not I might actually be a poet (see Katie Davis's blog tomorrow, April 27th.) it seems a good time to understand choice and variability and order. Poetry is math. Poetry is permutations. 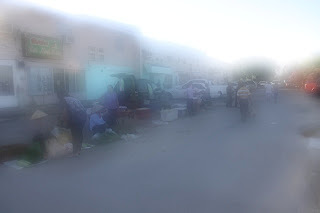 For some of the permutations, I have stories of misadventures and photos. For instance, we did not call the book Paw Paw Pomegranate, as my husband suggested, because of the photo below. 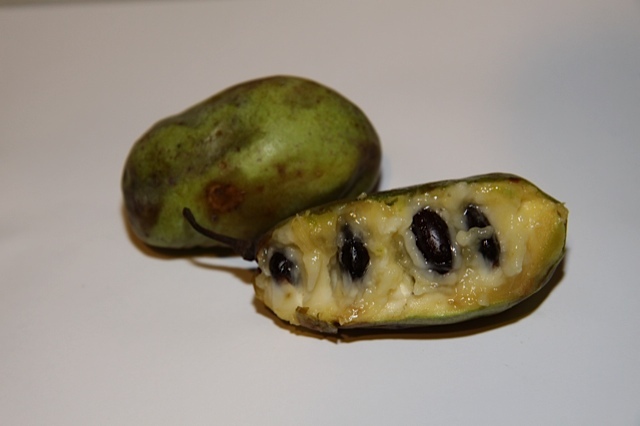 I had to do a conference and when I returned all the wild Paw Paw gatherers in Michigan could only find this...um...sad looking, though surely delicious example of the fruit. Paw paw not looking like a cover fruit. Sorry! When we showed up to our secret spot after the $50 taxi ride with a doubtful driver, we found an entire television crew was set up and rolling to shoot a segment for Travel Channel “Bizarre Foods” episode with Andrew Zimmern. Scoop! While we watched, he tasted breadfruit. 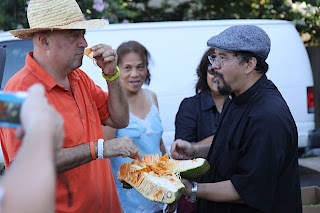 While rolling, he reached behind the camera and handed me a slice of breadfruit to taste. 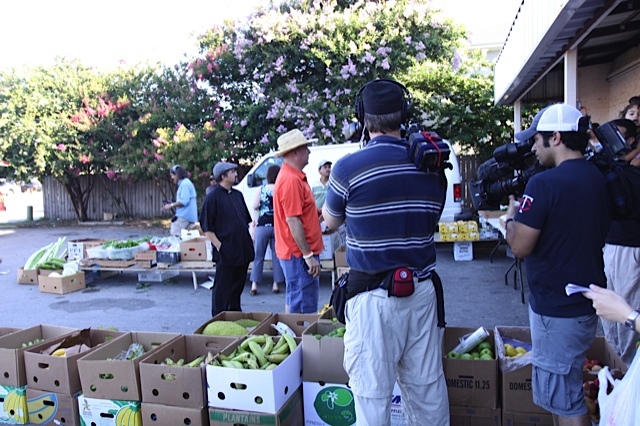 Here I was preparing to be the photographer but I ended up having to sign a photo waiver for his crew. Ooh, turnabout! No, I did not make the show. But you can see the priest and breadfruit tasting scene in one of his New Orleans shows. None of my many photos from there made the book. But it was fun. Bizarre Foods crew got there first. Scoop! The bonus of this crazy exercise in permutations? There’s a lot of leftover material. Oh, sad and soggy stanzas. 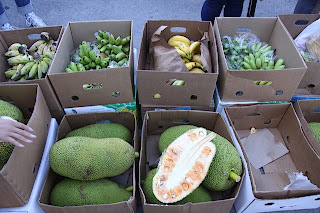 Oh the fruit parties I had to throw with all the leftovers from shoots and from buying produce from the grocers and farmers. 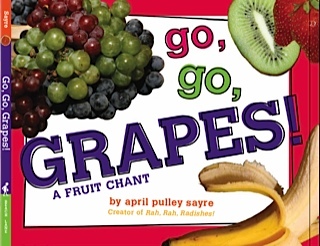 Oh, and Go, Go, Grapes: a Fruit Chant is coming out May 22nd. Yippee! Yeah, I was finally done with permutations. That’s what I thought on Dec 24th of last year when for the first time in two years I went to the Farmer’s Market without my camera. Ah! 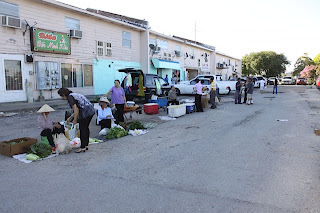 How relaxing just to buy vegetables. Uh oh. Saw some hickory nuts and fava beans and had an idea. An hour later, I was at it again. Soon after, it was under contract. Permutations. Here we go again! I went to the London Book Fair last week, the UK’s equivalent of BEA. Some things were the same – cavernous convention halls, loads of booths and meeting areas, crowds of people, and a full calendar of interviews and panel discussions. But some things were different. Every year a foreign country is featured and this year it was China and a group of 21 government-approved writers. Chinese publishers abounded, along with various exhibits including one that explained how the Chinese had developed movable (clay) type long before Gutenberg. This being England, there had been numerous op-eds in the newspapers protesting the focus on China since its censorship ministry is alive and well. Another difference: though I picked up a lovely carrier bag at the entrance, expecting to fill it with the usual freebies found at US book fairs, there were none! No free pens and bookmarks, no ARCs (advanced reading copies,) not even any Hershey’s kisses in fishbowls. Nicola Davies and Vivian French, both prolific nonfiction authors, were moderated by Jake Hope, Reading Coordinator for the Lancashire County Council. He began by asking why they were drawn to writing nonfiction. Viv French discussed her desire to share information about what she finds exciting. She praised her grandfather for answering all her myriad questions when she was a child, and in fact brings such a grandfather into her book T.Rex. For French, the best books come from a passion to answer questions and to lead readers to more exploration. Nicola Davies wants to share her life-centering passion for the natural world. She writes to excite her readers and to engage them in a dialogue with the world: to be in the moment, watching, and making connections. For Davies, Story is a carrier bag for information. Story makes that information easy to remember and makes connections between a child’s inner and outer worlds. The information is a rope that you pay out gradually to readers with pacing, tension, and drama. A prime example is her award-winning Ice Bear. As in the US, UK teachers are forced to teach to tests these days. (The UK has a national curriculum.) Davies lamented that because of this, children often don’t get the chance to read for pleasure, and teachers can’t engage them in open-ended learning. All this makes publishers more cautious about publishing narrative nonfiction. Davies and French agreed that things were better in the US. 1) While we complain about the lack of children’s books reviews in the press, they say it’s much worse in the UK and that nonfiction books never get reviewed. 2) They praised all the nonfiction awards given in the US, because they have none in the UK. Davies rallied the troops, asking nonfiction authors to demand more publicity. 3) The authors perceive that American teachers are more open to their kind of books than UK teachers, but partly blamed that on UK teacher education courses. They pleaded for more time allotted to children’s literature in teacher training classes, which they believe happens in the US. French and Davies both love new technology. 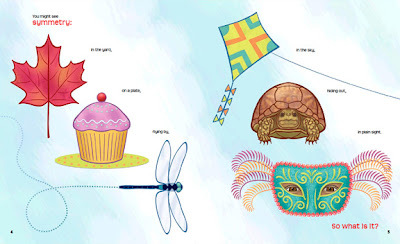 Viv French writes for very young readers and savors the prospects of add-ons to her books. Nicola Davies herself indulges in all forms of communication – books, i-Pad, kindle. “Don’t get your knickers in a twist about technology,” she warned booklovers. Things aren’t sorted out yet, and the next few years will be like a washing machine tumble, but we will figure out how to combine quality material with new technologies, keeping an authorial voice in the mix. And kids need to watch television and use the internet, because that’s the modern world. French saw an ideal future where kids read books for concentrated information, then go to the internet for further research. Moderator Jake Hope, discussed budget cuts in schools and loss of school libraries. He encouraged schools to work with public libraries, and proposed bringing together librarians, teachers, parents, publishers, and authors to address the issues of libraries, schools, kids, curricula, and books. 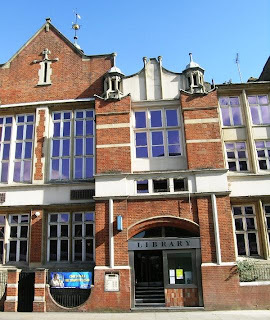 Davies described the merging of library and school services and fabulous reading programs in her home in Denbighshire, North Wales. 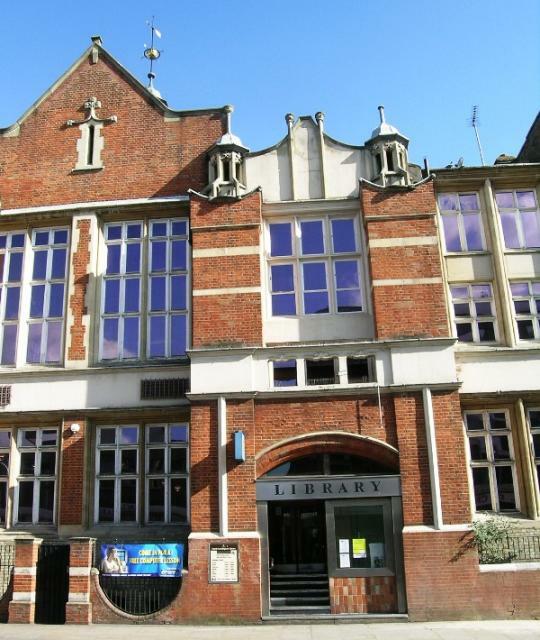 French praised her new local Edinburgh, Scotland library which offers the interaction between books and computers that she favors. Last words from Viv French: write letters to newspapers to demand more reviews of nonfiction children’s books. Nicola Davies: keep libraries open and support children’s reading for pleasure. Banner ad on London buses: "Some people are gay. Get over it." 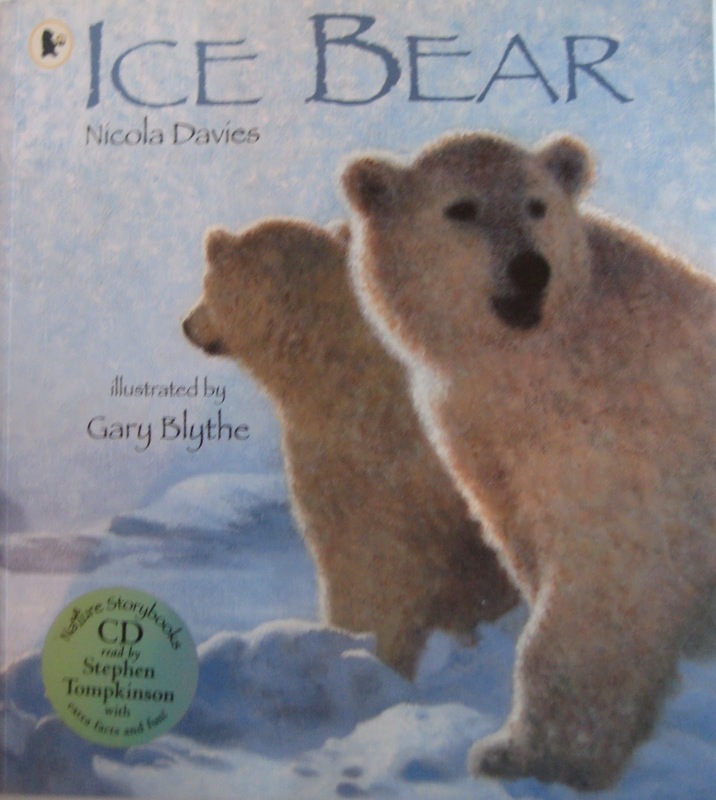 When I teach English Language students, kids or adults, I find a way to use non fiction children’s books. It’s certainly not part of any curriculum I’ve read about and it hasn’t been an easy thing to do. Nonetheless, I can be somewhat creative and, some might say, a wee bit obsessive in my dual desire to enrich my students lives with some American history and culture and not bore myself silly. If you have ever read any ESL texts you’d understand. I searched long and hard for a textbook that didn’t put me to sleep and I finally found one about the history of America that’s not half bad. It’s the other half that can be really painful. So I often bring in I.N.K. books to supplement what we’re talking about or take us in a new direction entirely. The tastes and appreciation of the adults can be much different than for kid readers. For instance, funny I.N.K. books don’t work—their English isn’t strong enough to understand the puns or nonsensical rhymes so these jokes, which kids adore, fall flat. On the other hand, a book about Lincoln’s funeral train which had pretty much bombed with kids actually worked well with the adults. They were interested in trying to understand the concept of a “country in mourning” including what people would wear and how they would show their respect. It also fit well with our ongoing geography study as we followed the train through many states to to its final destination in Springfield, Illinois. But, as many of you know, using non fiction texts in a classroom setting has other challenges. Xeroxing copies of the text for all students are costly and individual books costlier still. Holding up one book doesn’t work well when you need to read and reread, go slowly, and work through the meaning of unfamiliar words. When I worked at a local elementary school, the school librarian used the SMART board and it’s magnifying feature to great success. The librarian stood and faced the students with the book in front of her, her back to the screen. They could see the images from the book, both text and pictures, on the large SMART board screen in front of them. A large percentage of the kids seemed engaged as they could all see the images and read along. Alas, we don’t all have SMART boards. But hope and innovation are in the air! My director has an exciting idea that I really hope will work. She thinks that we might be able to use a NOOK or a KINDLE to download a book and then present it, through a laptop and onto a white board, to the class. She knows very little about these products and I know even less so we’re not sure if it will work. But she’s willing to give it a try and I’m very appreciative of the chance to try to make this work. And when we figure it out, she wants to sit in on the class. I.N.K. books have a way of drawing people in and spreading the knowledge. So we’ll see if it will fly. And then, hopefully, we’ll see what happens next. 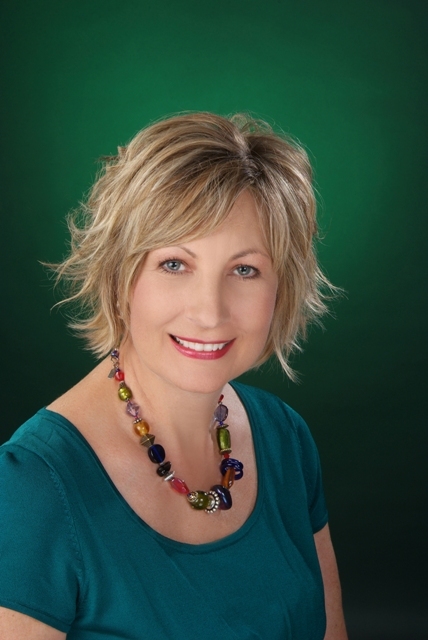 Guest Blogger Carla McClafferty says "Ideas Are Everywhere"
I would like to welcome and introduce INK's newest member, Carla Killough McClafferty. 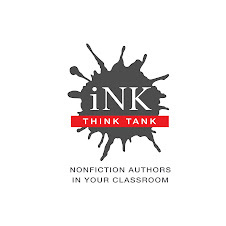 Carla will participate in both INK Think Tank (the database of nonfiction books searchable by curriculum standards), and INK Link: Authors on Call (the videoconferencing group). Carla, who lives in Arkansas, is the author of award-winning nonfiction books of history and science including The Many Faces of George Washington: Remaking a Presidential Icon; In Defiance of Hitler: The Secret Mission of Varian Fry; Something Out of Nothing: Marie Curie and Radium; and The Head Bone’s Connected to the Neck Bone: The Weird, Wacky and Wonderful X-Ray and her latest, Tech Titans. You may contact Carla at ckmcclafferty@gmail.com. I asked Carla to be a guest blogger in my slot this month. She addresses the third most common question I get from children at schools, "Where do ideas come from?" In case you're wondering, the most popular question is, "How old are you?" to which the teachers always say, "Don't ask that! That's not polite." (I tell them anyway.) The second most common question is, "How much money do you make?" to which the teachers say even more forcefully, "Don't ask that! That's really not polite." (I tell them how much I make on the sale of one book.) But when they ask, "Where do you get your ideas?" their teachers relax and coo, "Oh, that's a nice question." Here is Carla's story of how she got the idea for one of her recent books. Book ideas are everywhere. Some ideas come from unlikely places; others develop through a lot of thought and planning. Sometimes a book idea comes along when you least expect it. It comes as a sweet surprise (like finding a row of Thin Mint Girl Scout cookies in the freezer that I’d forgotten about). 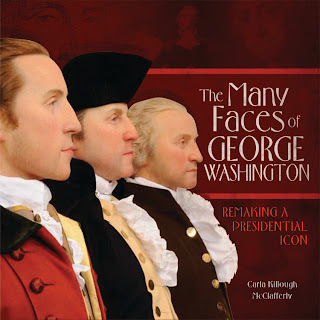 That’s how it happened for my 2011 book, The Many Faces of George Washington: Remaking a Presidential Icon. One day I watched a History Channel special I’d recorded titled, "The Search for George Washington." Being a nonfiction author, I’m a big fan of shows that give me the “facts.” This program described how the three figures of George Washington in the Education Center of Mount Vernon were created. It explained how experts conducted a forensic study of George Washington in order to determine what he looked like at the ages of 19, 45 and 57. During the science phase of the project they studied priceless artifacts with a spatial laser scanner, which appealed to me since my first career is as a Radiologic Technologist. The project included aspects of science, technology, history, and art. As I watched, I was mesmerized. I thought, “This would make a great book.” Then immediately I thought, “This would be a perfect book for me.” And it was. That day I knew thousands of books had been written about Washington. But I also knew that to write nonfiction books for a trade publisher I had to find a way to write about this familiar subject it in a way that has never been done before. No book on Washington had ever been written using cutting-edge modern technology to reveal new details about the man. 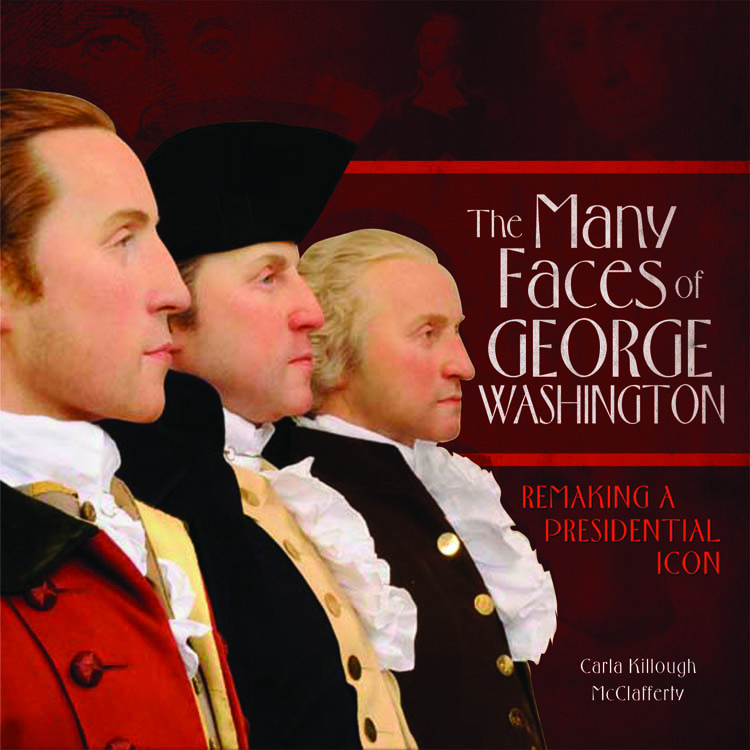 The idea for The Many Faces of George Washington: Remaking a Presidential Icon came to me that day nearly fully formed--a sweet surprise. Now excuse me while I search the freezer for cookies. While Carla is searching for more Thin Mints, here is what I tell children in answer to their question about ideas:" Ideas are everywhere. You just have to keep your eyes open, your ears open and your mind open." One the many sources of ideas is books by other authors. Just as a History Channel show gave Carla the idea for her book on George Washington, perhaps her book will give you an idea for a book of your own. I’ve talked to authors who won’t set foot in a middle school. The too-cool-to-show-interest audiences, the stony faced silence—I get it. Still, there’s something fun about the challenge. I’m writing from Williamsburg, VA, in the midst of six middle school events, for about 200 kids each! Some ups and downs for sure. So what have I learned? On this trip, four things. Yesterday I told kids about the time I was volunteering at a tutoring center in New York City, and I was working with a fifth-grader named Louis in a room crowded with kids and tutors, and our table was really dark so I stood on a chair to adjust the bare bulb overhead, and I burned my hand and let loose a high-pitched cry as I leapt through the air. The kids seemed to enjoy my humiliation. Once I had their attention, I asked students to think about why Louis always remembered the light bulb incident in great detail, but couldn’t remember a thing from his history textbook. “Cause it was funny,” someone said. Yes, I agreed, it’s easy to remember funny stories, or sad ones, or gross, or shocking. And that’s what history is, when done right—not names and dates, but memorable stories. So don’t be scared of history! Describing Benedict Arnold’s epic march to Quebec, I asked kids to touch the tops of their shoulders and notice how thin the skin feels over the bone. Then I showed an image of the boats Arnold’s men paddled through Maine, explaining that when they came to rocky rapids, they had to turn the 400-pound boats upside-down, rest them on their shoulders, and carry them to the next patch of deep water. Pretty soon, the skin on the men’s shoulders wore off and the white tips of bones stuck out. It’s a small and unimportant part of the Arnold story, but it made kids wince and squirm, and won me another five minutes of attention. They also seemed to enjoy ghoulish details from the Abe Lincoln-body snatching book I’m working on. Like the part where, after grave robbers tried to steal Lincoln’s body in 1876, the tomb caretakers decided they’d better open the coffin just to make sure the right corpse was still in there. The body was there, and thanks to a fantastic embalming job eleven years before, still looking great. Only the mold on the clothes emitted what one witness described as an insupportable odor. 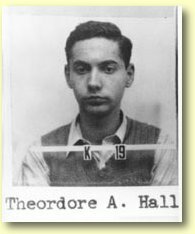 When telling students about my Manhattan Project book, I started with my youngest character, a teenage physics prodigy-turned spy named Ted Hall. This seemed to work well, because they were fascinated that a guy could graduate from Harvard at 18, and then go right to Los Alamos, and learn how to make the bomb, and then decide to give the secrets to the Soviets. I know many fellow I.N.K. writers have featured young characters in their books, but I feel like this is something I need to do more of. I’ve been getting this one a lot lately. 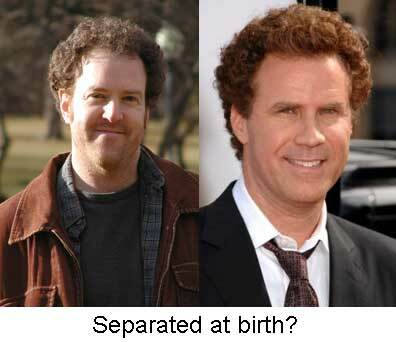 During the questions and answers, someone asks, “Are you Will Farrell’s brother?” It’s the hair, I guess. Anyway, kids seem disappointed when I say we’re not related, and that I can’t bring him with me next time. This is not helpful to my fellow writers, I realize. But the resemblance seems to amuse middle-schoolers, and I’ll take any edge I can get. When I do school visits and talk about how I research and write my books, inevitably the conversation turns to Internet research. Kids want to know if I use the Internet. I usually turn the question around on them. How do you think I use the Internet? Google, they say. That’s a search engine, I tell them. In what way do you think I use the search engine? Through a series of questions that usually allow me to steer them away from Wikipedia and do a basic how-to-use-the-Internet safely and productively, we get there. My most recent school visit was right around the time I had been dazzled by solving a problem that would have been a monumental task pre-Internet. I was going over final art for my forthcoming picture book about Elizabeth Blackwell and there was one detail in one of Marjorie Priceman’s pieces that I wanted to make sure we had gotten right. It was an illustration of her graduation and she was not wearing her bonnet. I needed to quickly double-check and make sure we hadn’t missed this detail and that her bare head was a-ok, so I went online and in TWO minutes I found a primary source document proving that she was not wearing her bonnet that day. All was well! That could have taken weeks pre-Internet. The Internet has become an invaluable tool for the research process in my books in many ways. The ability to locate experts in various fields and share information is mind-boggling. I’ll never forget the first time I realized that this was not just a tool that could make certain things easier, it was a tool that could make certain things possible! At the time, I was charged with writing a wildlife series in which the film for the original books was published in China. Translation: the film we were working with consisted of complete photographic layouts of 32 page books, with Chinese text that we were going to ignore. Instead, my challenge was to properly identify the contents of the photographs, figure out the theme of each spread, and write new text to go with it. Given my wildlife and science education background, this was do-able. EXCEPT when I got to a book about alligators and crocodiles. These photos all looked alike to me. What to do? I got on the Internet and began to search for the world experts on alligators and crocs. And I found one. There was a scientist in Darwin, Australia who specialized in Crocodilians—otherwise known as alligators, crocodiles, and caimans. (Who knew?) He was happy to identify the photos for me. So I scanned all of the spreads and emailed them to him. One by one, he told me exactly what I was looking at and I was able to write the text. Pre-Internet—not really possible. How would I even begun to have found him?? In my forthcoming book, Courage Has No Color, the photo research was painstakingly slow. It is a story about WWII veterans and the images of them were few to begin with and fewer to survive the decades. I don’t know if I could have found most of what I did without the Internet. In some instances, it was tracking down small military archives; in others, it was a matter of being a detective and finding obscure phone numbers of distant relatives. Zabasearch came in handy! 4.G.3 Recognize a line of symmetry for a two-dimensional figure as a line across the figure such that the figure can be folded along the line into matching parts. Identify line-symmetric figures and draw lines of symmetry. The question of how much to include is always an issue for authors. We do the research, compile a zillion things, and reluctantly pare it all down as much as possible. I did “cheat” a little bit by having a couple of pages of notes in the back. 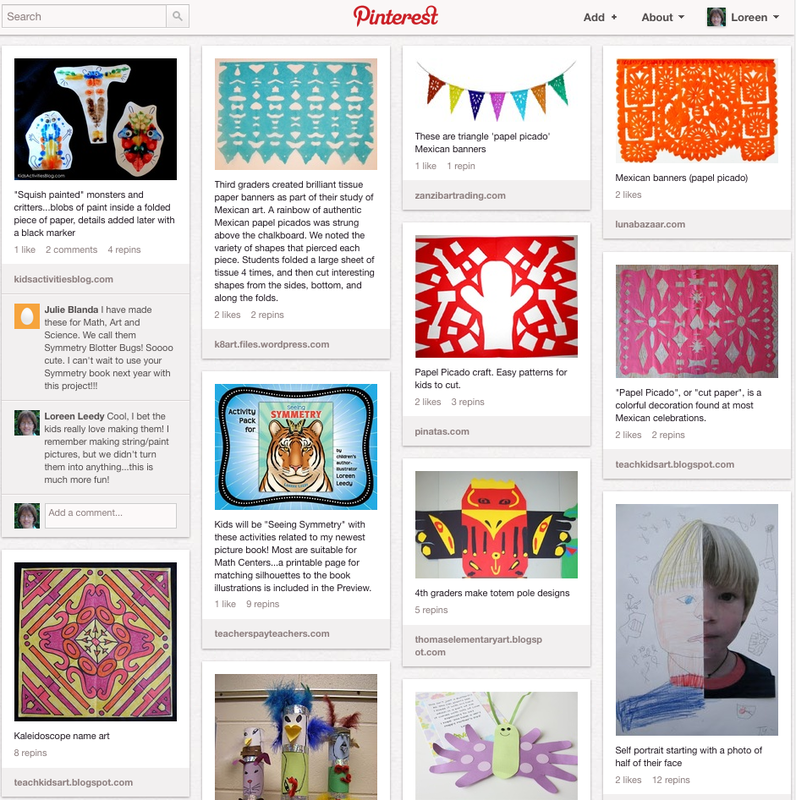 And perhaps a Simple Symmetry book is in my future…wouldn’t want to leave out the little guys! Getting back to the original complaint, that there is “too much” information in this book, I can see how it might be difficult to get through many nonfiction books that are loaded with factoids. Here is a blog post on the Children’s Books and Reading blog that has a good approach using sentence starter cards to help kids process the information better… Non-Fiction Books: Putting Words Into Their Mouths. In short, the adult makes cards with phrases such as “I can see…” and “I can hear…” The adult and child take turns pretending to be a person in the book, the idea being to put yourself into the page and take the time to observe what is going on. There is no need to finish the entire book in one sitting, perhaps one page at a time is just right. 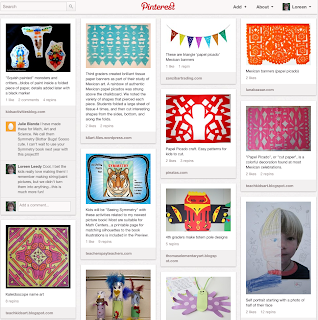 From a rotational name activity to “squish paintings” to Mexican paper banners to student self-portraits, there are all kinds of great ideas to engage kids in the topic. To check it out, please click here. Too much information…? That's impossible! Please read it. I'll wait. I can't say it any better than that because all I want to do is scream. Loudly. Our children deserve to be taught the truth in school. Period, the end. Global warming really is happening. Smart politicians know that. Teaching our children the truth about global warming leaves open the possibility of saving our earth. Not teaching them the truth closes that possibility. I hate conflict and controversy. I got very little of it, thank goodness, when Charles And Emma came out. I think because their relationship shows how science and religion can co-exist in peace and harmony with understanding. That's beautiful. "Life is a risk. The people that take a chance have a chance." 5:30 A.M. Tuesday. April 16, 1912. While the survivors of the RMS Titanic shivered and wept aboard the RMS Carpathia, as 1,513 souls were orienting themselves to the Afterlife – 'So this is Heaven! Good gracious, is that Clara Barton?' (The celebrated "Angel of the Battlefield," had just arrived four days earlier, Earth Time.) a lone pilot took off from Dover, England, bound for Calais, France. It wasn't as if no one had ever flown over the English Channel. Jean-Pierre Blanchard and Dr. John Jeffries spent two & a half chilly hours crossing the Channel on January 7, 1785, in the basket of a hot-air balloon. When Louis Bleriot took off from France on July 25, 1909 and landed in sight of Dover's famous Castle and its chalk cliffs 37 minutes later, he accomplished the FIRST flight of a heavier-than-air craft over a significant - not to mention cold, rough, deep, and suffocatingly wet - body of water. And what a glorious picture book his flight inspired! She had established herself as a photojournalist, writing for the very popular Leslie's Weekly. "In a moment [Harriet wrote] I was in the air, climbing steadily...I was up 1,500 feet within thirty seconds...In an instant I was beyond the cliffs and over the channel." "My hands were covered with long Scotch woolen gloves, which gave me good protection from the cold and fog; but the machine was wet and my face was so covered with dampness that I had to push my goggles up on my forehead. I could not see through them." "I dropped [through the cold clouds, engine racketing, oil blowing back in her face, roiling waters down below] from an altitude of about two thousand feet...The sunlight struck my face and my eyes lit upon the white and sandy shores of France....rather than tear up the farmers' fields I decided to drop down on the hard and sandy beach." According to Britain's Daily Mirror, April 17, 1912, "The Channel air route has now been conquered by a woman. To Miss Harriet Quimby, a young American lady journalist, belongs the distinction of being the first woman to fly alone in an aeroplane from England to France." But most of the front page was taken up with the shattering news about the Titanic. "TEAR-STAINED WOMEN'S WAIT FOR GOOD TIDINGS. Harrowing scenes at All the White Star Line Offices." A hundred years ago today. So long ago and so not. Not to put a damper on her huge achievement, I've got to tell you that less than three months later, Harriet Quimby, 37, was as dead as Julius Caesar. An accident - screaming, falling - in the air over the "Third Annual Boston AVIATION MEET." It was a time of adventure. I reckon it still is, no? I know that there are some handsome books about this talented, beautiful, ambitious, independent, brave, dead-way-too-soon person, but if you're reading this, you know where to find them. In Your Own Words: What Do You Think?